How older seeds are stored will also affect viability. They can be kept in their individual seed packets, small coin envelops, or in plastic or glass containers. Wondering what to do with the envelops your bank teller or ATM hands you? Give them a second life storing seed collected from the garden. The key to seed saving is to keep them dry, not exposed to very hot or cold temperatures, and away from heat sources. 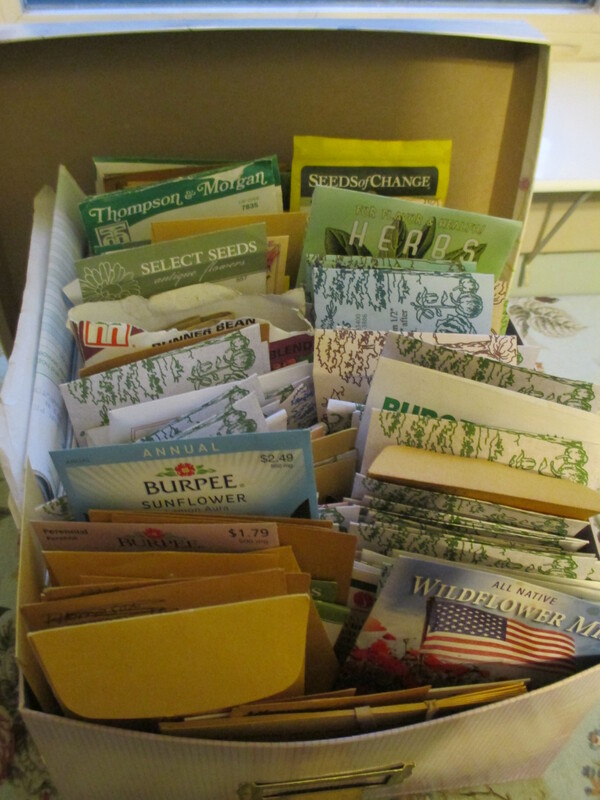 I use a photograph box and organize my seeds into two rows – flowers and vegetables. Plastic bins are used by others while another option is putting them in photograph albums with pocketed sleeves. Any extra seeds which you won’t be using this year could be traded with friends, donated to community or school gardens or offered to local garden clubs. The oldest is Comstock, Ferre & Co. which was founded in 1811 by Joseph Belden who advertised his first seed variety and price list in the Hartford Courant. His brother later took over the business selling seeds out of the 1767 home their father built which still stands in Wethersfield today. In 2010, the company was purchased by Jere and Emilee Gettle with the intention of returning it to its heirloom roots. 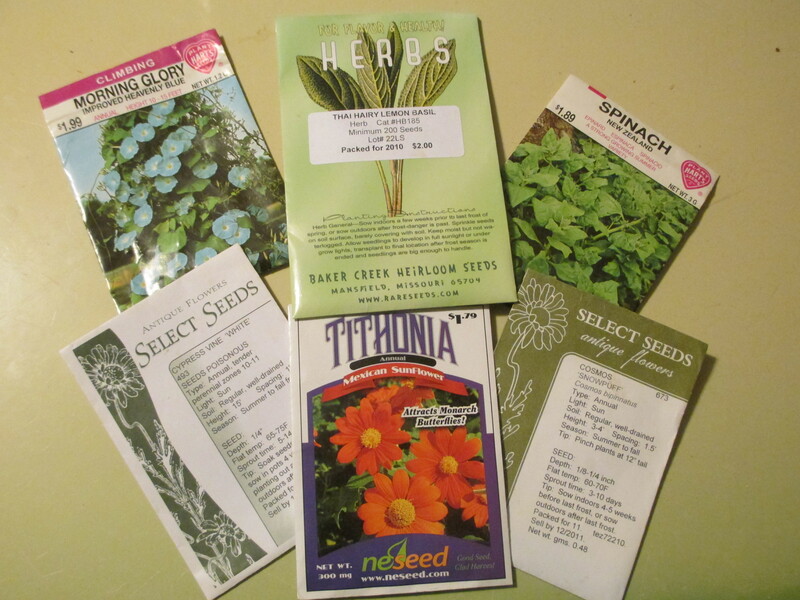 One of their goals is to search and preserve the seed varieties listed in old catalogs and seed lists. They also are working on the restoration of the buildings and grounds on the historic site eventually creating a living history museum depicting the importance of agriculture and heirloom varieties. The Chas. C. Hart Seed Company, after being founded in 1892, is still being run 5 generations later by Charles C. Hart’s great-great grandsons. Beginning as a small, home-based, consignment seed package business, it slowly grew purchasing other seed businesses in Connecticut and neighboring states. Although the original wood building housing the Chas. C. Hart Seed Company burned in 1943, a new office/warehouse building was constructed on the historic Wethersfield site. Hart Seed is GE (genetically engineered) free and is typically sold online in bulk. 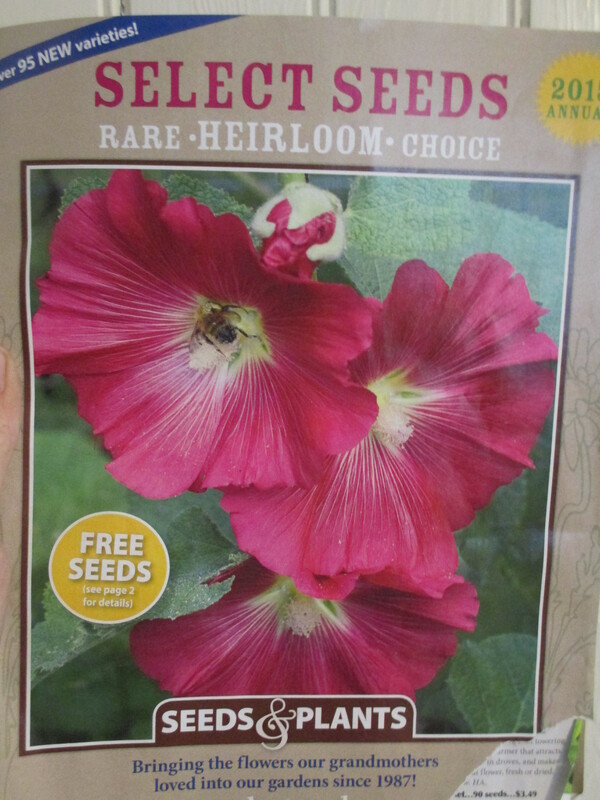 While one may not need 1000 or more seeds which might be a catalog minimum, individual packets can be found at many Connecticut locations including garden centers, agricultural supply shops and hardware stores throughout the state. For a list of locations, visit www.hartseed.com. NE Seed also offers bulk seeds of native forbs and grasses which would work well when establishing a wildflower meadow or wildlife habitat plot. They are located in Hartford and at www.neseed.com. Select Seeds – Antique Flowers is a unique seed company located in Union, CT specializing in old-fashioned flowers but offering a limited number of vegetables and herbs, all non GE seeds, as well as annual transplants and perennials. What is unique about antique flowers, as well as heirloom vegetables, is that they are open pollinated which means that if the seed produced by the parent plant is saved and replanted, an identical plant or one very similar to the parent plant will grow. Seeds can be saved from year to year. With many of us New Englanders residing in older homes, the flower varieties offered by Select Seeds may well be the same ones our grandmothers and great-grandmothers were growing and also, quite compatible with the historic and architectural elements comprising our homes . See their complete listings at www.selectseeds.com. Lastly, while not typically for the general public, Colonial Seed of Windsor should be mentioned. They specialize in native grasses, sedges, legumes and other native plants that are needed for habitat restoration plantings, native wildflower meadows , forage fields and other challenging sites. Some of their seed is available through other commercial outlets like Hart Seeds but contact this company directly at www.colonialseed.com for more offerings.